Most used vehicles are required by Maryland Law to undergo a safety inspection prior to its sale or transfer. Bowie Auto Clinic has the latest technology to conduct a full inspection per the State of Maryland’s safety requirements. All inspections are performed by certified technicians. How Do I Obtain a Maryland Inspection Certificate for My Vehicle? To obtain an inspection certificate, you must have your vehicle inspected at an authorized safety inspection station in Maryland, such as Bowie Auto Clinic. It is best if you schedule the safety inspection first, by calling us at 301-383-1277. Also, before you take the vehicle to be inspected, ensure that it is properly registered, either in Maryland or in another state. If you are not able to register the vehicle because it has not yet received a safety inspection, you may qualify for a 30-day temporary registration that will enable you to legally drive the vehicle to the inspection station. The safety inspection should take about 1-½ hours for most vehicles once the registered inspection mechanic begins work. Certain vehicles (e.g., trailers) may take less time so it is best to check with us. When our technician has finished, he will prepare an inspection report that shows the vehicle parts or systems examined and whether or not they have met Maryland’s standards. If the vehicle meets all safety standards, we will prepare and give you two copies of the Maryland Inspection Certificate. You should take the MVA copy (green) to any full service MVA branch office and submit it with the other documents needed to title and register your vehicle in Maryland. The Purchaser’s copy (goldenrod) is for your records. If a dealer owns the vehicle, the Purchaser’s copy must be affixed to the vehicle’s window. What happens if my vehicle fails the safety inspection? If the vehicle is re-inspected within 30 days after the original inspection date and you have driven it less than 1,000 miles, we will only need to inspect the defective equipment identified during the initial inspection. However, if a new defect is visually observed during the re-inspection, the newly discovered defect must also be repaired and re-inspected. If you do not have the vehicle re-inspected within 30 days or you exceed 1,000 miles, you will be required to pay for a new, complete inspection. These are few of the most common reasons why many cars fail Maryland State Inspection, from our experience. Unlike your car’s body, auto glass, interior and lights, the condition of your brakes can’t be visually confirmed without partial disassembly. And if you haven’t been diligent with the car maintenance, have driven with your emergency brake on, or purchased a used car with unknown history, it’s a good idea to check the brakes and replace them if necessary before they fail inspection. The minimal tire tread depth that will let you pass the inspection is 2/32 of an inch. You’ve probably heard about the test with a penny. Stick a penny in the tread with Lincoln’s figure upside down and facing you. If at least half of his head is covered, you are good to go. You can also repeat this experiment with a quarter, and if a part of Washington’s head is covered, you are even in a better place with 4/32 of an inch tread depth. Many drivers don’t realize that most vehicles come with pre-tinted windows. According to the Maryland laws, tinted auto glass must let through at least 35% of light, which means that applying tint that meets this requirement on a pre-tinted window will make the tint too dark to pass the inspection. If your “check engine” light is on, don’t even bother sending your car for an inspection, because it will inevitably fail. “Check engine” light may indicate a wide variety of problems from electrical issues to an unfit gas cap and even a failing engine. This includes dashboard indicator lights, headlights, turn signals and tail lights. All of them need to meet state and federal regulations, be fully functional and adjusted to the correct brightness. Some after-market Halogen and Xenon-based lights, such as bluish high-intensity discharge (HID) lights might not be legal in some states, especially if they are not utilizing vehicle’s existing light source. Call Bowie Auto Clinic, and we’ll let you know if your modified headlights will pass the inspection. This mainly concerns older cars with extensive rust issues and body rot. While you can cosmetically mask the rust, you can’t do much about the body rot except for replacing the rotted piece of auto body, which is often rather expensive. If your local Maryland Safety Inspection station fails your vehicle for the reasons you disagree with, feel free to come to Bowie Auto Clinic for the second opinion. 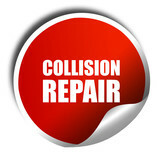 We won’t fail your car just to make you pay for unnecessary repairs. The fee for an initial safety inspection at Bowie Auto Clinic is $75. The fee for the re-inspection of a vehicle varies with the inspection station’s labor rate and the specific parts or systems that need to be re-inspected. A re-inspection fee should not be charged if the repair can be visually confirmed (for example, a burned out light) unless the inspection requires jacking, lifting, measuring, or testing the vehicle. A re-inspection fee for a non visual defect may be charged at up to 1-1/2 times the hourly labor rate if the inspection requires jacking, lifting, measuring, or testing the vehicle. You should inquire about the re-inspection fee before leaving the station. Do your own inspection. It’s basic, but give your car a once-over periodically so you catch anything that looks out of the ordinary. Make sure all your lights are working. Check the air pressure in your tires every month or so (and buy a cheap tire air pressure gauge and keep it in the glove compartment). Doing so is good for your tires, gets you better mileage, and saves you money in gas if you discover that the pressure is off. Listen for any strange sounds, inside and out. Make sure your tires have enough tread. You can use a penny to do it, or look out for the wear indicators on the tire treads. If anything’s out of the ordinary, don’t ignore it. Learn to check your fluids. Even if you don’t ever learn how to change your antifreeze, power steering, coolant, or even your wiper fluid (although seriously, don’t let someone charge you to change wiper fluid), you should learn how to check those fluid levels. In some cases, you can see the tank level directly, but most have gauges or dipsticks you can pull out to check current levels against a notch that indicates optimal levels. Even if your owner’s manual doesn’t have much to say about checking your transmission fluid or antifreeze, don’t be afraid to open the hood and see if you can find it. If you’re running low, add more (if you can) or get it changed. Most importantly, never ignore a leak. Inspect and get your timing and serpentine belts replaced when necessary. Many people will tell you to get your timing belt replaced every 60,000 miles or so, and your serpentine belt replaced every 40,000 miles, give or take. Again, your owner’s manual will offer real numbers for your type of vehicle. If you can’t find the manual, look around online. You’ll probably find the actual recommendation for your car. Use it as a guideline, and ask your mechanic to inspect the belts when it gets time to replace them mileage-wise. If they’re still in good shape, don’t bother, but if they’re worn out, get them replaced before they fail. If you wait and those belts do fail, you’ll break down, and the damaged belt can damage other accessories, making the repair even more expensive. Check your oil and get it changed regularly. Whether your car has a dipstick to check the oil’s color and oil level or the dipstick has been replaced with an electronic gauge, you should know how to check it. Knowing the difference between clean oil and muddy, murky oil will save you a ton on unnecessary changes and gives you a way to tell if something’s wrong with your engine (e.g. the oil looks terrible but you just had it changed). It’s hard to make a universal recommendation for how frequently you should change your oil, but the answer is—as we mentioned—in your owner’s manual. Don’t just blindly follow the 3,000 mile myth though—for most vehicles it can be as high as 10,000 miles, depending on the oil your vehicle calls for (something else that’s in the manual). Check your battery and clean the contacts (if necessary). Most batteries these days don’t require much in the way of maintenance, but you should know where it is and check it to make sure it’s not leaking and there’s no mineral or other buildup on the contacts. If there is, clean it off with a battery cleaning brush. It will set you back a couple of bucks at any auto parts or department store. Buy one and keep it in the trunk. While you’re at it, consider buying a cheap battery tester or jump starter. You’ll never need to call someone or wait for AAA (or a friendly passer-by) to give you a jump. Replace your windshield wipers when the view gets streak-y. It may seem silly, but I’ve known several people who just ignored their wipers until they got them replaced as part of a bigger job. Wipers are cheap and easy to replace yourself. Don’t wait until you can barely see through your windshield. Your visibility is important, and you wouldn’t wait until you saw an optometrist to clean your glasses, would you? While you’re at it, give your windshield a good cleaning inside and out—if it’s hard to see, the problem may be inside, not out. Replace your cabin air filter. Replacing a cabin air filter is probably one of the easiest things you can do to keep your car comfortable. Most vehicles make the cabin air filter easily accessible, and replacing it is as easy as opening a box. You can get a fitting filter at any auto parts store. It may not be critical to your car’s operation, but it’s easy, it makes the ride more pleasant, and it’s a repair you’ll never have to pay someone else to do. Replace your engine air filter. Getting to the engine air filter may be a little trickier depending on the vehicle you have, but replacing it regularly is important. Your owner’s manual will give you a mileage estimate for how frequently you should replace your engine air filter, but if you can get to it, check it. If it’s dirty, replace it. If you drive a ton, especially in stop-and-go traffic or have a long commute, your engine air filter may get dirtier faster than someone who drives open roads or only drives around on the weekends. If you need help or your owner’s manual doesn’t lay out exactly how to do it (although it should), this guide from Jalopnik can help. Get your tires rotated and balanced, and your alignment checked. Your manual will tell you how often to do this, and it’s important to do to make sure your tires wear evenly and your car drives smoothly. You can make your tires—which are expensive to replace all at once, by the way, take it from someone who’s done it several times—last much longer by getting them rotated and balanced. Your alignment is just as important. If you’re fighting your car to keep it straight, that’s a bad situation that’s easily corrected. Change your spark plugs. If your spark plugs are worn out or covered in buildup, your engine isn’t working efficiently. That can cost you money in fuel for one, but it can also lead to a breakdown. It may sound daunting, but in some cases checking and replacing them isn’t that difficult. If you don’t feel like doing it yourself (or it’s a big and complicated job for your vehicle), follow your manual’s recommendation and get them changed regularly—for most standard copper spark plugs and vehicles, that’s around 30,000 miles (but again, it varies – some iridium plugs can last up to 100,000 miles). These are just a few things that every vehicle needs, and almost all of them are things you can do yourself. We can’t stress enough the importance of checking your owner’s manual for anything we may have overlooked here, or anything specific to your vehicle. If you don’t have your manual, you can find it pretty easily online. We rebuilt the entire engine of this 2000 Porsche Carrera. It was a lot of work, but now this car is ready to fly. re-assembled the engine with new gaskets and seals etc. If you are a Carrera or Boxter lover, come by so we can talk about your future project. Let the service professionals at Bowie Auto Clinic handle your automobile heating and air conditioning problems and routine maintenance. Your car’s engine is the power source for both heating and air conditioning systems. They also share other components. Heat is a byproduct of the engine’s combustion process. The coolant in the radiator absorbs the heat. It is then circulated through the heater core before returning to the radiator. The heating system also includes, air ducts, temperature and duct controls, and a blower motor and fan. The air conditioning system shares air ducts, controls, and blower with the heater, but has its own refrigerant system. The system is composed of: a compressor, condenser, receiver/dryer, orifice tube or expansion valve, and evaporator core. Automobile AC systems have components that require regular checks to avoid drying out and cracking. The heater also needs regular check-ups to make sure there are no leaky valves or blockages. The radiator is the core of your vehicle’s cooling system. The radiator must be clean, leak free, filled with coolant, and clear of blockages. Coolant that is not maintained becomes acidic over time and degrades the internals of your cooling system. This deterioration results in the structural break-down of hoses, gaskets, and belts. Degraded coolant can also lead to premature water pump failure brought on by deteriorated seals. This means the leaky gasket or hose that you fix today might be the weakest of many weak points in your cooling system. Fixing these one-off leaks could just be a short term solution for a much larger problem. The good news is these issues can be avoided by performing coolant flushes at the intervals recommended by your vehicle’s manufacturer. – If a slow leak cannot be detected, a dye detection service may need to be performed for confirmation. If you are having a problem, let the service professionals at Bowie Auto Clinic diagnose it and fix it. And let us perform regular maintenance on your heating and air conditioning system to make sure it is working at peak condition, to keep you comfortable during any weather.